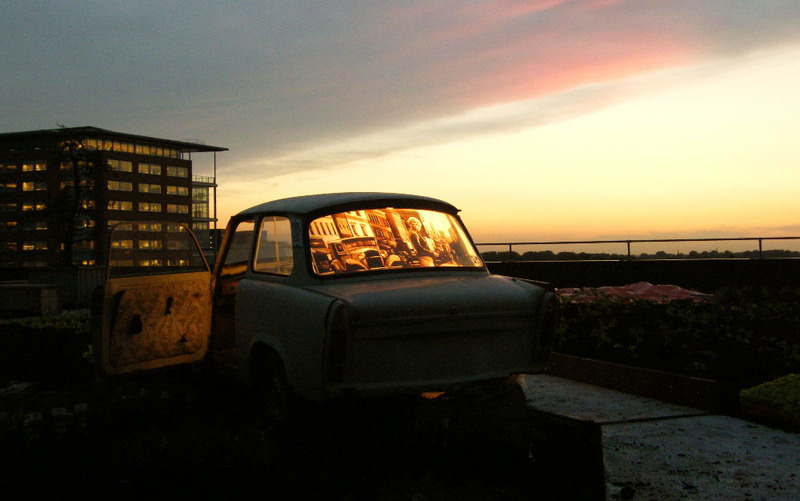 Auto art: Max Zorn uses a vintage European Rabi and turns its frame into a lightbox to illuminate his art made with brown packing tape. 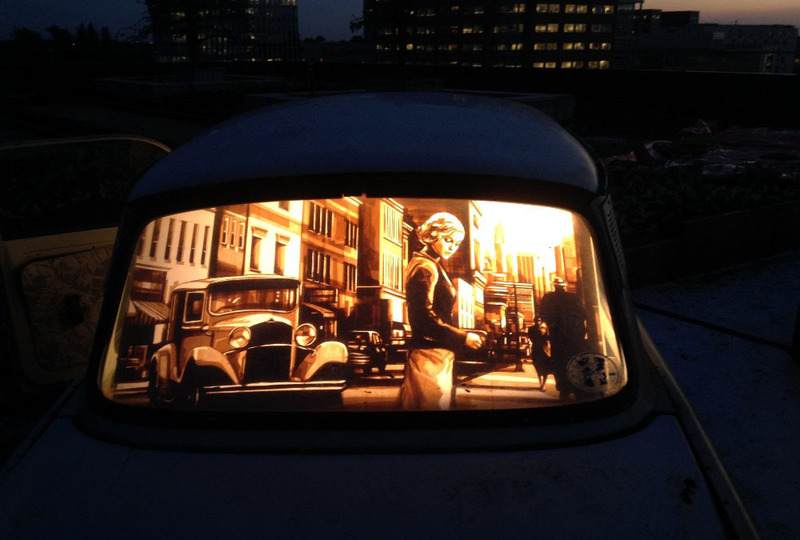 From storefront windows to suitcases, the concept of using anything as a light to illuminate Max Zorn tape art can get creative — like car windows. These tiny, vintage European Rabis offered the perfect framework for Max to create a glowing effect within the cars themselves. Black Box offices are a co-work space in Amsterdam for creative startups, and Max Zorn’s summer studio residency ended with this fun concept coming to life. 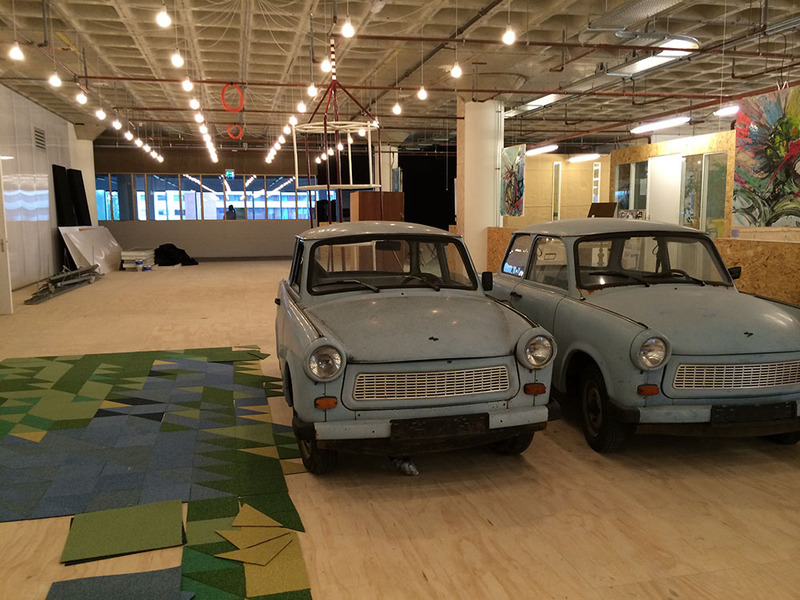 The vintage Rabi at Black Box HQ Amsterdam offices before installation. 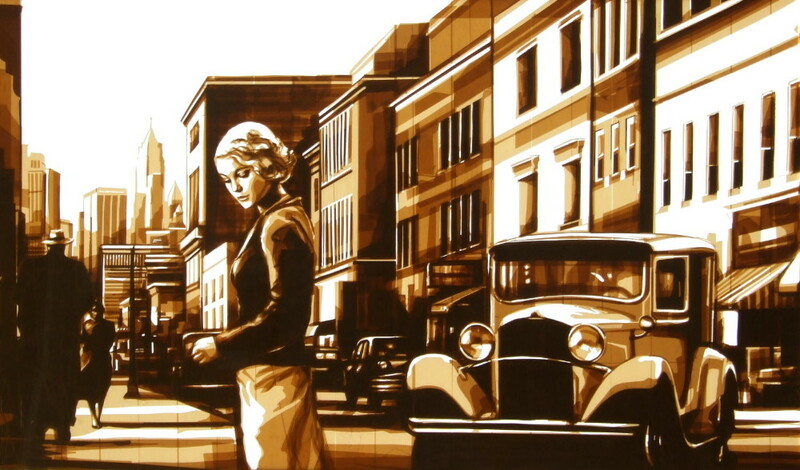 Result: Max Zorn uses a vintage European Rabi and turns its frame into a lightbox to illuminate his art made with brown packing tape.